On May 25th, 32 students from Oscar De La Hoya Charter High School took a field trip to Simi Valley to be part of the Situation Room Experience at the Ronald Reagan Presidential Library. Trey Alsup, a 1994 SCA MFA Production graduate, has designed a new type of game-like experience in collaboration with the Reagan Library. Referred to as an “educational simulation,” this large-scale interactive game puts 20-53 people in unique roles as they act out a fictional “what-if” crisis scenario in which the President of the United States has been shot. The goal of the simulation is to teach its players about the difficulties of communication in crisis scenarios and about how to manage information while making tough decisions in high-pressure circumstances. The game derives its name from the focal point of the experience: the renowned White House Situation Room. Not to be confused with the CNN evening newscast featuring Wolf Blitzer, the Situation Room is a historic space where nine sitting presidents have made some of the most important foreign policy decisions on behalf of the country. 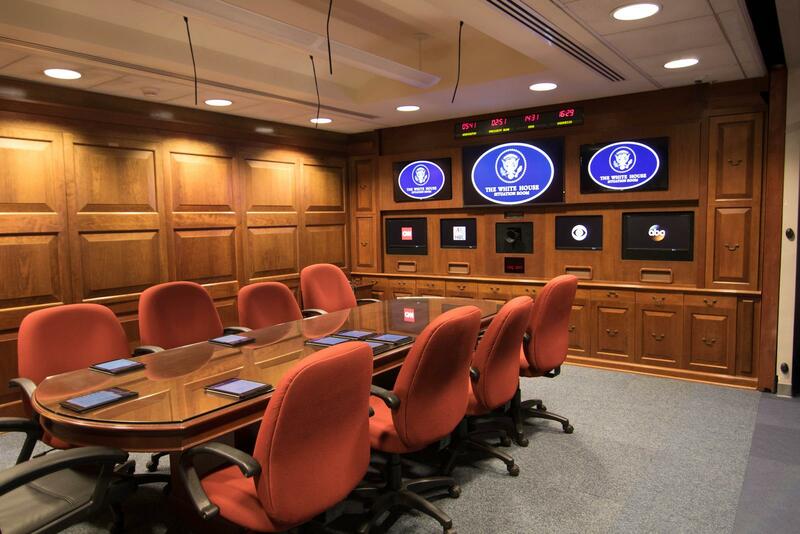 In an effort to preserve the historic site, the Situation Room in the Reagan Library was reassembled from the original White House Situation Room. In 2006 President George W. Bush ordered a technological renovation for the original White House Situation Room. During this update, the Situation Room’s key components were taken down and shipped to the Reagan Library along with the George W. Bush Presidential Library in Texas to be fully reassembled at both locations. 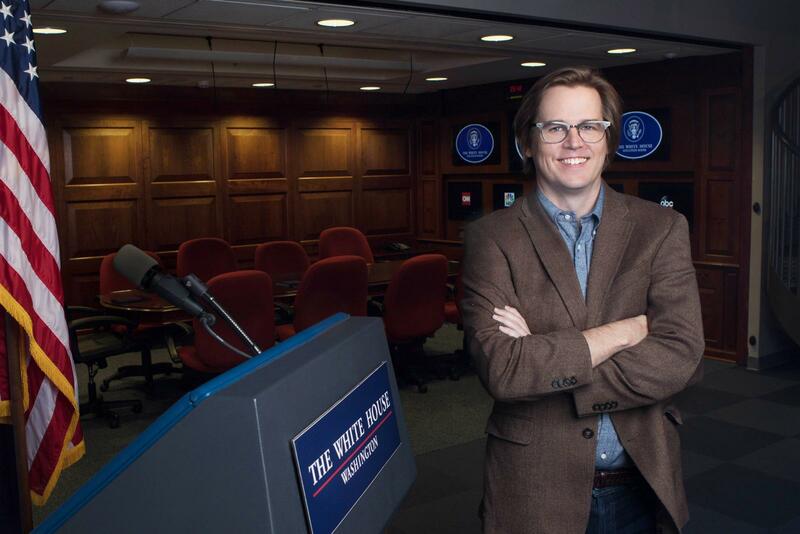 Duke Blackwood, the Executive Director of the Reagan Library, enlisted Alsup to create what has now become “The Situation Room Experience.” It successfully opened to the public in August 2016, with sessions booked daily for educational groups as well as corporate and government clients. The game takes place within a large dedicated space where players are split among the Situation Room, the White House Press Room, and a remote “Hospital Command Center.” During the simulation, each participant takes on a role within the government or media corresponding to actual roles in a crisis, such as the one that occurred in 1981 when President Reagan was shot. Participants primarily deal with issues of communication and information control amidst public unrest and international complications. Another significant factor that allowed Alsup to realize the Situation Room Experience opportunity was his connection to USC as an alumnus. Serendipitously, while at a USC Cinema Alumni event in 2014, Alsup reunited with Tracy Fullerton, then the Chair of the USC Interactive Media & Games Division, who invited him to participate as a speaker in a PlayThink session at USC. PlayThink is a USC-based salon dedicated to the discussion of art games, reflective videogames, interactive art, and interdisciplinary media. Several months later, after Alsup spoke on a panel on the topic of Pervasive Games, LARPs and Street Games, the Reagan Library approached Tracy Fullerton in search of a writer to help develop the Situation Room project. Fullerton reportedly suggested that the Reagan Library didn't need just a screenwriter, it needed a game designer. It needed Trey. In the future, Alsup and Blackwood would love to see these interactive simulations expand to become a unique medium. Blackwood says, “There’s nowhere in the world that does what we do. We look at this as just the beginning.” The Reagan Library is already working on other partnerships, such as an 18th Century Mt. Vernon experience surrounding the Neutrality Proclamation of 1793 and a Middle Eastern Coup scenario produced in association with the UCLA Center for Middle Eastern Development. Alsup hopes these ongoing projects will open opportunities to new and existing game designers. Alsup has established his company Wishcraft Simulations with this in mind, and is working on more collaborations, including a disaster relief experience with the Pacific Aviation Museum in Honolulu, Hawaii. For Alsup, one potential future for interactive simulations is a new platform that enables anyone to create scenarios and publish real-time interactive experiences. Although he believes there are logical questions involved such as whether a proposed platform would be an open source or a closed system, he also thinks that this would allow people to try new things, innovate, and push the field in a variety of different directions. He likens the future growth of these experiences to that of LARPing in European countries. Alsup says, “LARPing is almost replacing theater in some [countries].” Through a new platform, these simulations should become part of the world's educational toolbox. To learn more about the Situation Room Experience, visit http://situationroom.archives.gov. For more information on Trey Alsup and Wishcraft Simulations, please visit www.WishcraftSimulations.com.